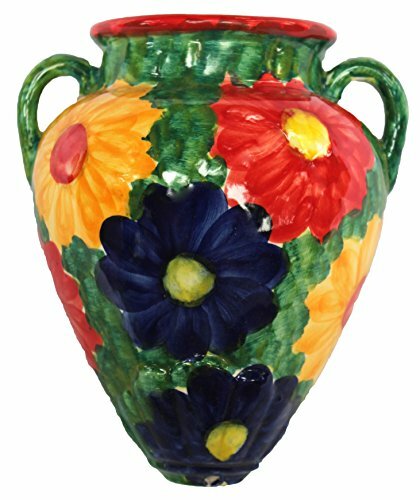 The Spanish wall tinaja is a beautiful wall hanging flower pot. The colors on the white bisque clay really jump out. The size is perfect for small plants and flowers. A wonderful adornment at the entry way or on the patio, and they make unique gifts. If you have any questions about this product by Cactus Canyon Ceramics, contact us by completing and submitting the form below. If you are looking for a specif part number, please include it with your message. Gardman R214 Georgian Wall Manger with Coco Liner, 16"